Resurrecting Charlie is a dramatic “play within a play” which tells the story of a traveling Christian drama group who is producing the show, “The Easter Story Spectacular!” Its star, Charlie, struggles with the poor decisions and mistakes of his past and hopes to get back on track by learning why Jesus sacrificed Himself to save us from our sins. Charlie’s stardom-obsessed costar Logan, and his jealous director Kathryn conspire against him, while his friend and production assistant Amanda helps him see the true meaning of the Easter story. 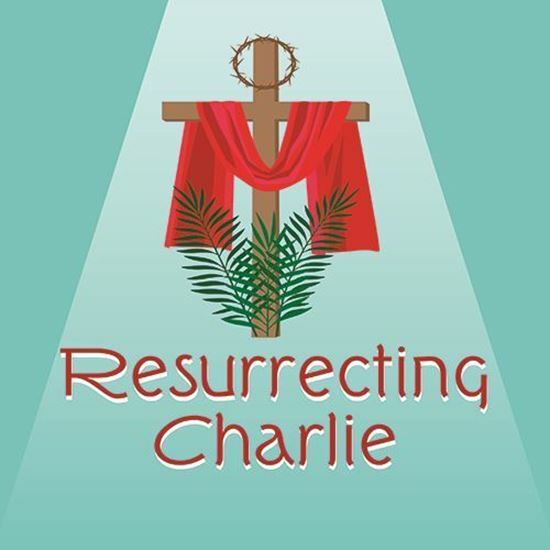 This play tells Charlie’s story, as well as the events of Holy week through actual dramatic performances of scenes such as “The Last Supper” and “The Garden of Gethsemane” while representing other events as parts of Charlie’s own journey. As we watch Charlie learn the great sacrifice Jesus made, we all remember what makes the Easter story so important in our own lives. Approximately 40 minutes. What's your favorite part or line in the play? Why? I’d have to say my favorite part of the play is when Charlie is telling Amanda why he joined the theater group and how he is trying to figure out why Jesus died for our sins. In the play, Charlie says to Amanda, “Tell me Amanda, what will you say on the day that you call me to the set and find out I’m gone?” Amanda, upset, then responds “I’d say it’s about time!” Amanda speaks that line again at the end of the play when Charlie finally learns what the Easter story is all about and leaves the production to rejoin his family. When Charlie doesn’t emerge from the tomb, Amanda smiles and says “It’s about time,” which shows how happy she is that Charlie finally got the answers he needed. Where did the characters come from? Are they based on people you know? The characters are basically just typical teens or young adults who are at the age where they are starting to question things and want answers. Some of the characters, like Logan or Kathryn, mimic characters in the Easter story. What did you try to achieve with this play? With this play, I wanted to provide a modern day setting that helped tell the Easter story in a new and fresh way. I wanted it to have a large cast, with opportunities for everyone to shine and for it to be easy to produce for any church, school, or theater. The Easter story is a dramatic story in itself, with many elements that are hard for a younger audience to fully grasp. I wanted to write something that would help younger audiences, and younger actors, understand the Easter story, while also being a play that would appeal to older audiences and actors.